Rhode Island has become the first state in the U.S. to ban bullhooks, taking a huge stand against cruelty to circus elephants this week. Bullhooks are sharp prods that trainers flail against elephants to train them for the circus, among other cruel practices to tame the wild, endangered animals. "The bullhook is a menacing weapon resembling a fireplace poker, with a sharp tip and hook at the end," Catherine Doyle, of Performing Animal Welfare Society (PAWS), told The Dodo last year. "It is used to forcefully prod, hook and strike elephants in order to dominate and control them, and to make them perform on cue. Elephants in circuses live under the constant threat of the bullhook from the day they are separated from their mothers as calves until the end of their lives." Nearly 60 U.S. jurisdictions have banned the bullhook, including major U.S. cities like Los Angeles, Oakland and Austin, to name a few. While California has tried to pass a statewide ban on the bullhook, it was vetoed in October. Elephants like Nosey, an elderly arthritic elephant who is rented out for fairs when not traveling with the Liebel Family Circus, also known as the Great American Family Circus, has known the bullhook for most of her life. And she's just one of too many. 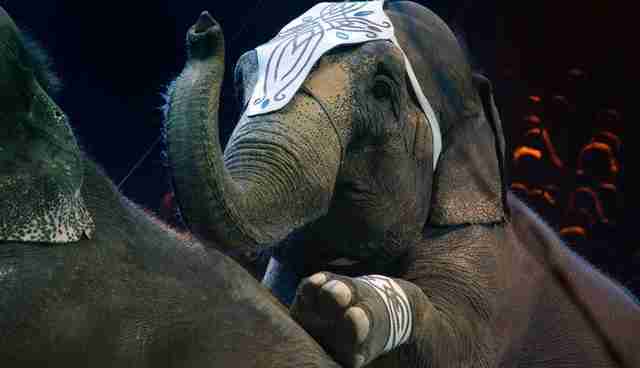 These bans have acted as a deterrent for circuses who want to use elephants coming to towns across the country. 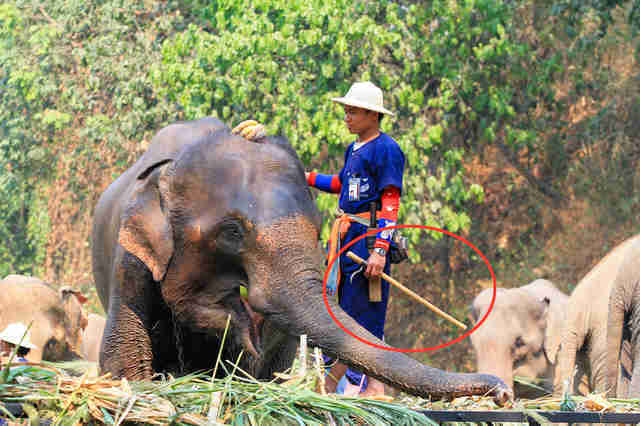 Even when circus elephants are performing, one can often see trainers near them, with a bullhook at the ready in case the elephant makes a wrong move. 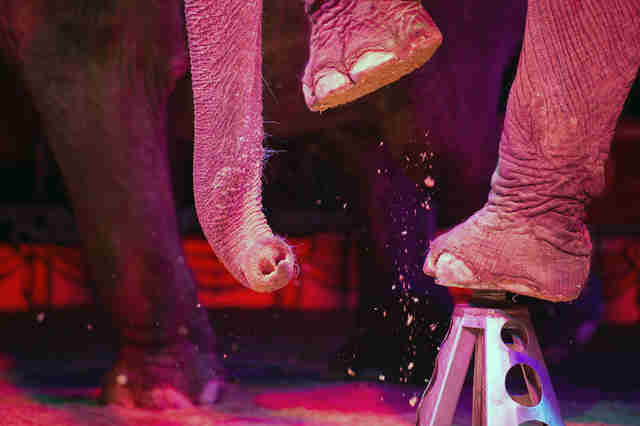 "For too long, elephants in traveling shows and circuses have suffered inhumane and cruel treatment by handlers wielding the sharp end of the bullhook," Nicole Paquette, vice president of wildlife protection at the Humane Society of the United States (HSUS), said in a press release. "Rhode Island has becomes the first state to take this monumental step to protect these highly intelligent and social animals from inhumane and outdated training methods." "We urge other states to follow suit," she added.